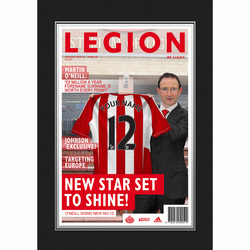 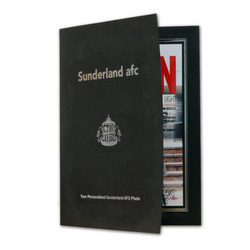 This is a fabulous present for any Sunderland fan and is approved and fully licensed by Sunderland AFC. 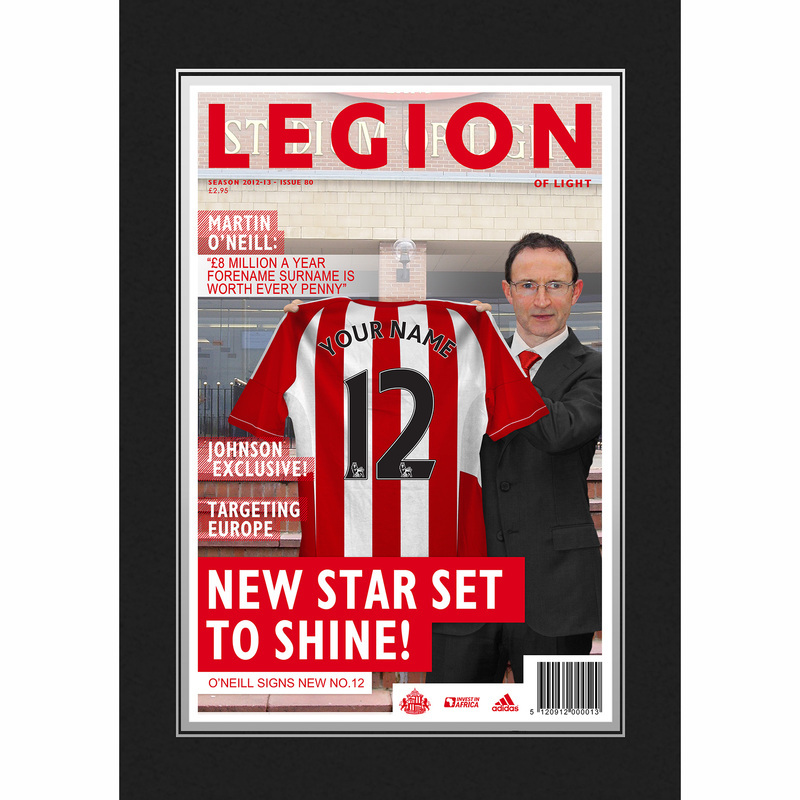 Your selected surname up to 12 characters and number will be merged onto the shirt and your name will also appear in the headline front page story of this Official Sunderland Magazine Cover. Framed and despatched within 2 working days.